A Trust is an arrangement in which a Trustee is given legal title to property for the benefit of designated beneficiaries. Trusts can be useful estate planning tools and are increasingly being used even in estates of moderate size. Avoid Probate. Probate is the judicial process of proving that a will is legitimate and distributing a persons assets accordingly. Probate can be expensive and time consuming. Assets placed in a Trust during a person’s lifetime are not considered part of a person’s estate when she dies, and therefore, are not subject to probate. Privacy. Probate proceedings are generally a matter of public record while Trusts are private arrangements between the grantor, the trustee, and the beneficiaries. 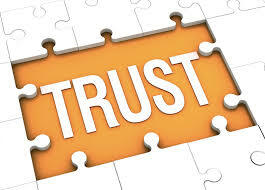 By using a Trust a person can maintain privacy regarding their assets and who they are distributed to. Flexibility. A Trust can be specifically tailored to a person’s wishes, so long as they are not illegal or against public policy. As such, Trusts can accommodate unique or difficult family dynamics. Additionally, Trusts can establish charitable foundations that can last for extended periods of time. Tax Savings. For estates larger than $5.25M, Trusts may provide a tax savings function. This entry was posted in Estate Planning and tagged estate planning, probate, trust. Bookmark the permalink.